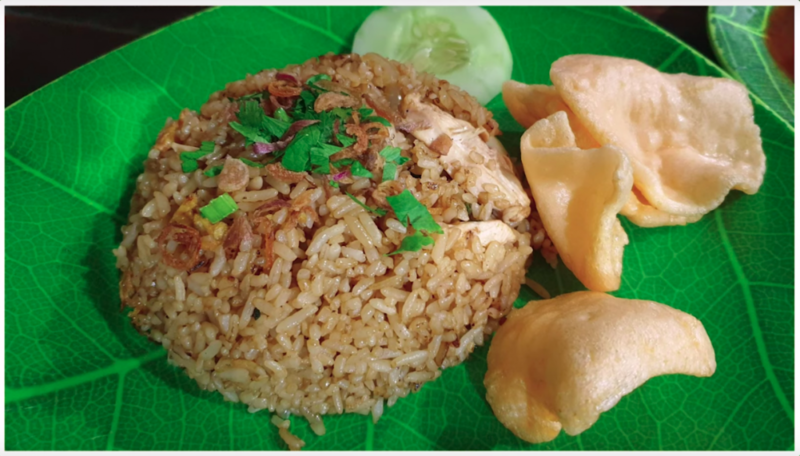 Join Steve and learn how to make authentic Nasi Goreng from a Local Balinese Chef in a traditional Warung in Ubud. Also they make a delicious Mie Goreng. Add the cooked rice, a little salt and sugar and a dash of all the sauces. Turn up the heat to stir fry the rice and mix all the ingredients together and coat all the rice with the sauce. Place the Nasi Goreng into a suitable mold to Serve on a plate with Prawn Crackers and Cucumber. Pour the oil into the hot wok, add the beaten egg and cook through. Add the cooked vegetables and chicken to the wok with a little garlic and stir fry for about 30 seconds. Add the lettuce or green vegetables into the pan with a splash of stock or water and then add the cooked noodles. Season with a little salt and sugar and then a dash of all the sauces. Stir fry all the ingredients together to coat the noodles with the sauces.